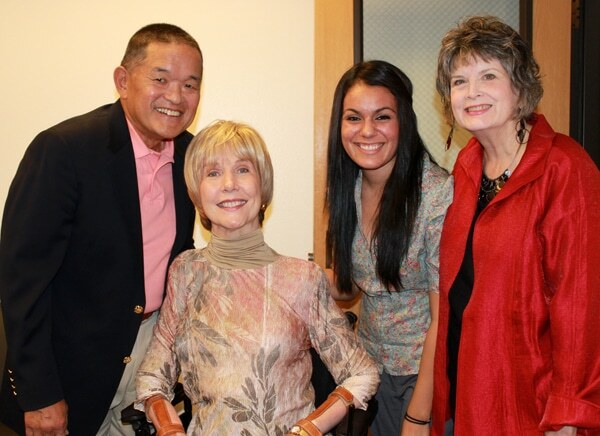 I’m deeply honored that Azusa Pacific University has established the Joni Eareckson Tada Scholarship Award (with the help of our friends at Ambassador Agency led by Peg Campbell on the right). And the happy young woman in the middle? She’s Angelica, the very first recipient of the scholarship award! Angelica is a senior at APU who plans to work with children with autism when she graduates. This remarkable student has a passion for disability ministry, plus she met all the scholarship requirements, one of which is her enrollment in the class Suffering: Theological and Practical Perspectives on Disabilities being offered this semester. I’m pretty excited that Angelica, along with her entire class, will be coming out to visit our IDC in November – I’m really looking forward to speaking to these students being ‘groomed’ to share the love of Christ with special needs families!